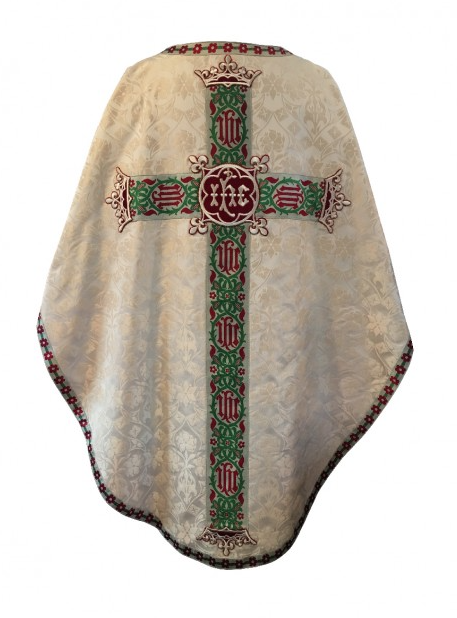 eremonial wear, whether sacred or secular, is meant to communicate symbols and deeper meanings; to inspire and to engage, drawing people into the underpinning realities which they seek to symbolize. In this regard, vestments, not unlike the ceremonial garb of the state or military, is not mere "fashion" and should not be reduced to such pedestrian levels. There may indeed be different styles and periods of origination which can be traced within them, but that these things have a symbolic, even allegorical quality, in part explains why, unlike fashion, they develop and change so very slowly in the course of centuries. 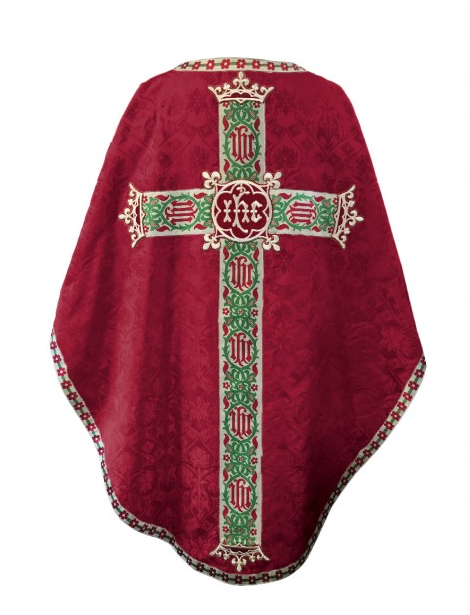 Symbols aren't to be too readily trifled with lest they be upset. This short preface really just intends to say that these things matter; they have meaning and because of that it is important that they be done well. 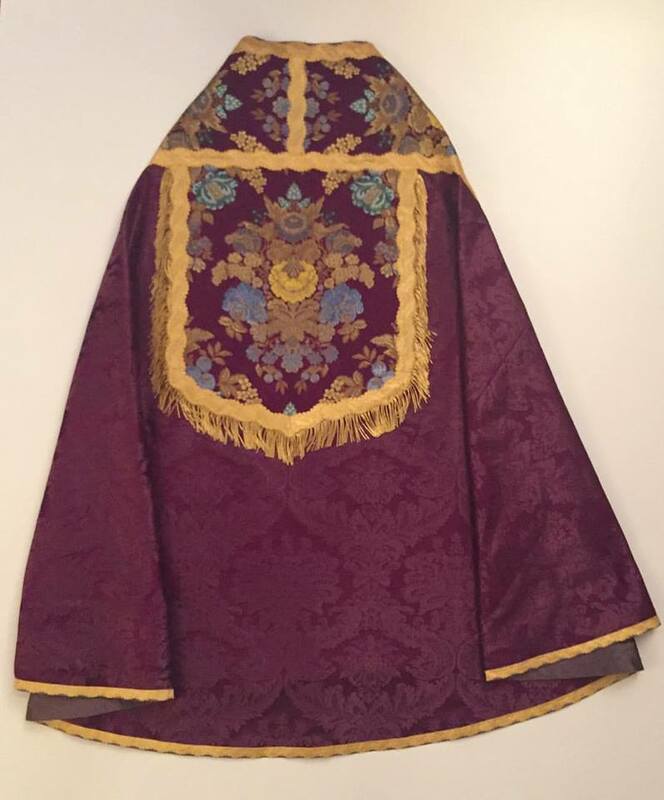 Vestments, when executed well, have what I can only describe as a certain effortless quality about them -- no matter how simple or how ornate. 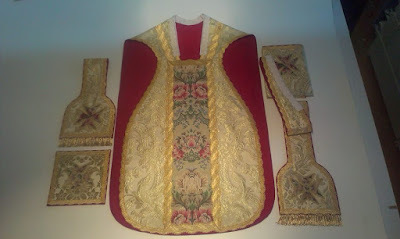 This quality is attained, I believe, through their visual interest, as well as the unity and complementarity of the parts in relation to the whole. What's more, the particular cut of the vestments (including how neatly and nobly it wears) are also a part of this formula, as are the nature and quality of the materials used. 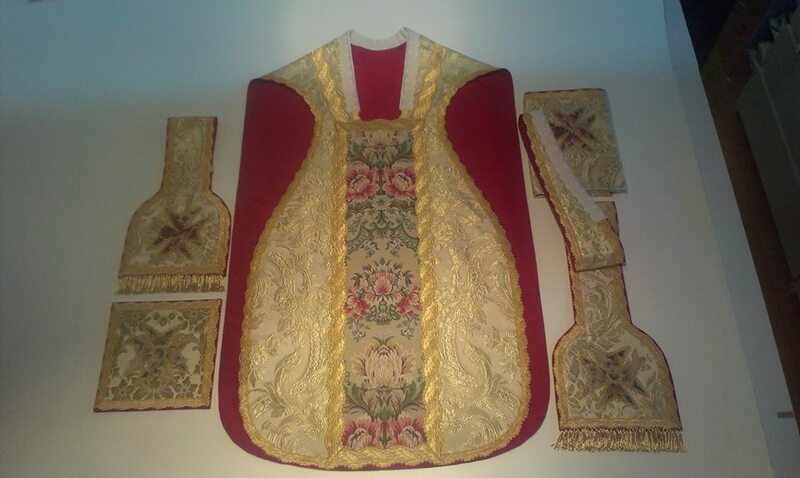 In terms of the colour and ormamentation, these should complement the whole and be proportionate to the whole. 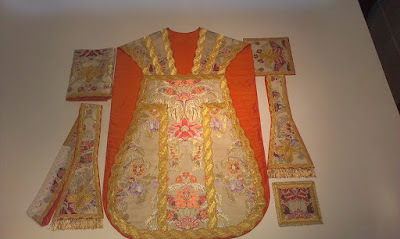 It is a fine balance to strike and not doing so can result, on the minimlalist end of the spectrum, in lack-lustre vestments of little engaging power, or on the other end of the spectrum, gaudy, distracting clutter; the result in both instances is something lacking in the qualities of nobility and beauty, thereby also distracting from them as symbols and potentially engaging people in a negative rather than fruitful way. 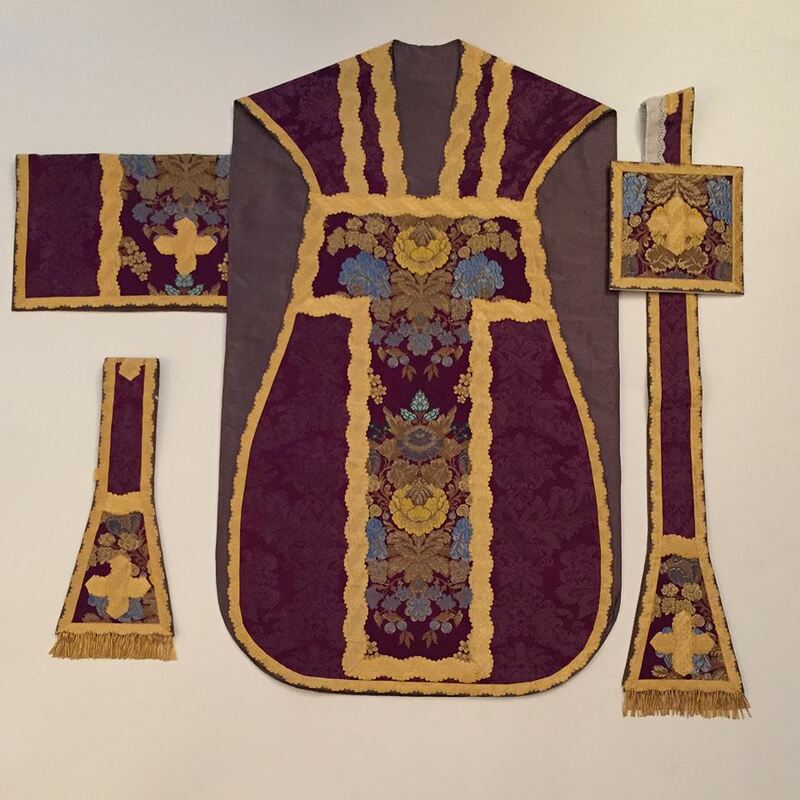 I wished to share a couple of recent examples of vestment work that I think precisely fit the bill and can serve as models. 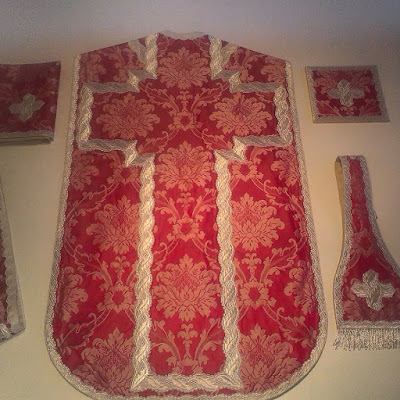 I have purposely chosen examples from both the gothic and baroque traditions. 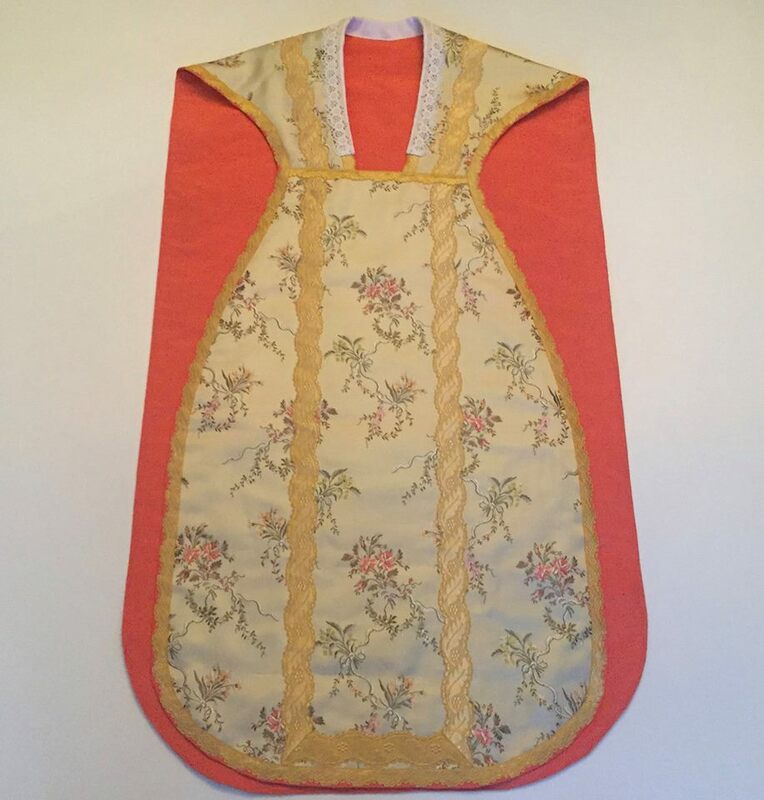 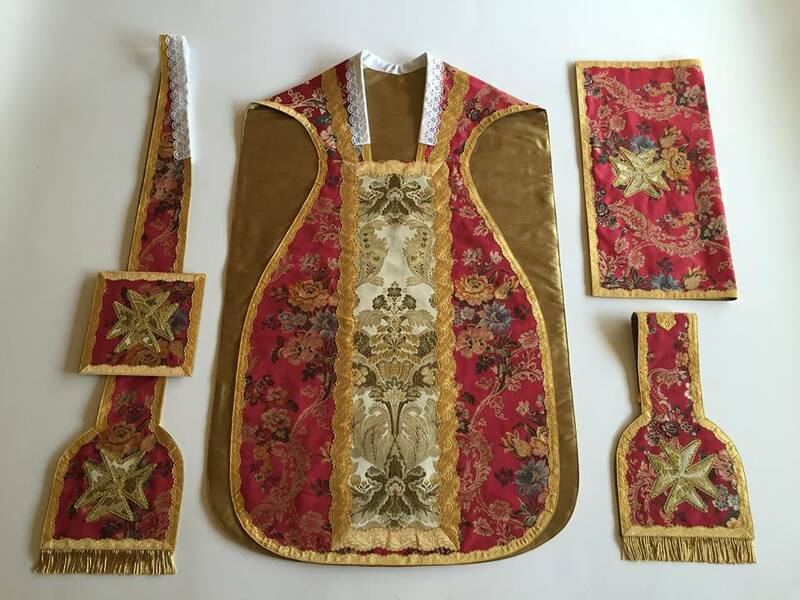 Each of these examples, from both makers, strike me as very successfully executed vestments that are tasteful, noble and beautiful, lending themselves well to both their practical as well as symbolic purposes. Well done.